Acne is a debilitating medical condition, and not just “something to get over” in puberty. If left untreated it can cause scarring and blemishes lasting a lifetime, and the emotional and psychological effects remain long after the acne has stopped. Although acne scarring and hyperpigmentation can be effectively treated, prevention is better than cure. Acne is the most common skin disorder and affects both men and women of all races. Approximately 80% of all people between the ages of 11 and 30 suffer from acne with many continuing into their 40s and beyond. Adult-onset acne is also on the increase. Up until now the treatment of acne usually takes a long time, with results visible only weeks to months from starting systemic and topical medication. For most, this is just too long, and the urge to touch the sensitive inflamed lesions only leads to further aggregation of the condition. Furthermore, side effects of conventional acne removal treatments have often been unacceptable, and resistance of acne-causing bacteria to antibiotics is an ever increasing problem. Not to mention the photosensitising effects of most conventional acne therapies. An instant treatment is now available! 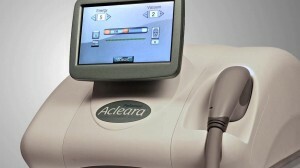 What is an Acleara acne removal treatment? A breakthrough acne removal treatment that combines a vacuum with pulses of specially filtered light to help clear your pores and treat acne outbreaks. 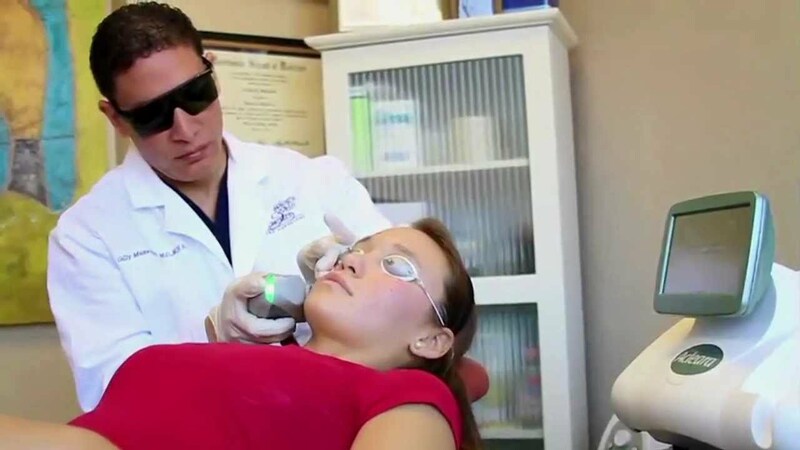 Cleared to treat a wide range of acne in all skin types by the FDA. 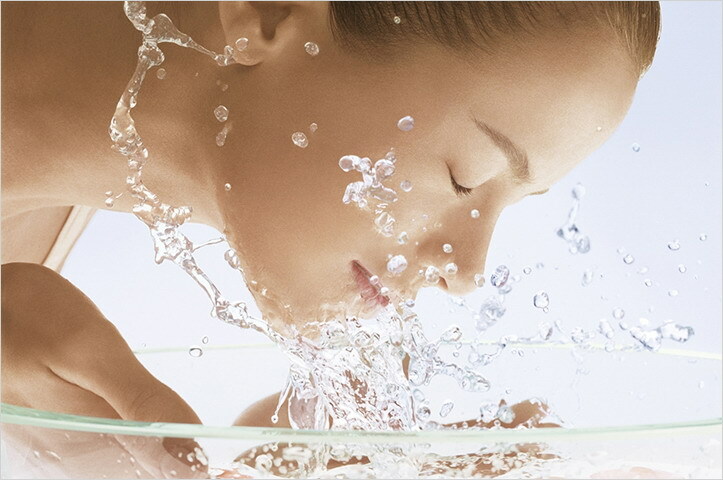 Your skin’s pores usually are cleared of oils, dead skin cells, and bacteria. Pores may be reduced in size as well. 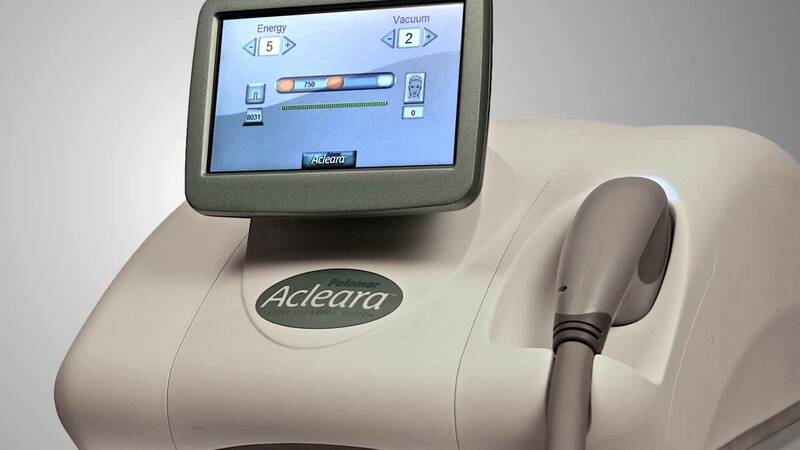 The Acleara treatment can be performed in as little as 10 minutes, depending on the size of the treatment area. Multiple treatments may be required for best results. A usual course of 6 treatments is recommended, although this may vary depending on your individual condition. Our AAAM Board Certified Doctor will discuss your treatment plan with you. Most people feel little to no discomfort during the Acleara treatment. Should more aggressive extraction be required, mild to pronounced discomfort may be experienced. You may resume your regular daily activities right away. You may immediately notice your skin is drier, less oily, and feels fresher. Current acne outbreaks usually will begin to clear up over the next two days. Typically most people experience a mild sunburn-like sensation, possibly accompanied by some minor swelling or bruising, immediately following the treatment. This usually lasts 2 to 24 hours. Post-treatment care will be recommended to you following the treatment. Finally! The long-awaited breakthrough in the treatment of acne.